Why Honda? If you have decided to splash out on a boat, an inflatable or maybe to just replace your old outboard with a new one, let us tell you why you might choose a Honda Outboard. 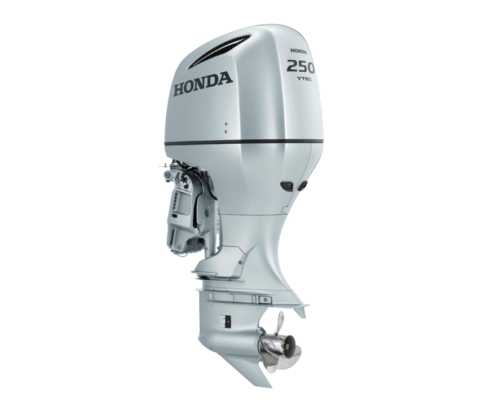 Unique innovations combined with sleek, elegant designs and a superb silver finish, Honda Outboards are a great choice for reliability, fuel-efficiency and performance at any level. Unlike a 2-stroke engine, these 4-strokes are so quiet. They’re also more efficient, and there’s no mixing of oil and petrol, which is bad for the environment. So as you accelerate away to the middle of a lake, up a river or around the coastline at sea, you know that the clean water you’re cutting through stays that way. From 2.3hp to 250hp there will be an engine that is just right for you. Marine Tech are also stockists for the Honwave range of Inflatable Boats ….